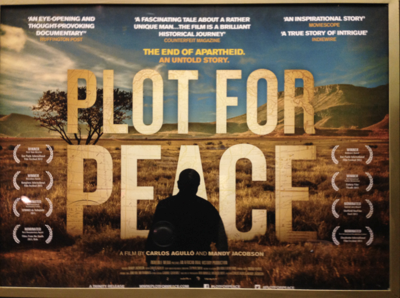 Plot for Peace is a documentary-thriller that tells the remarkable true story of the end of apartheid and the release of Mandela in South Africa. If you have never heard of Jean-Yves Ollivier then you need to see this film to understand the amazing story behind these huge world events. The award-winning film is released on 24th March and you can buy a copy of the DVD here, but we also have free FOUR copies up for grabs. If you are not on Twitter then just send an email to comps@flaneur.me.uk with PLOT FOT PEACE in the title. The competition ends at the end of 24th March when we will choose four random winners from the entries.